Want to cut music files? There are many good reasons you may want to do so. For instance, if you have a favorite song and you intend to use some portion of it as a ringtone, so just cut it. Or, you only want to make your MP3 file a smaller one, so that you can play it on your portable devices, and then just trim it. No matter what reason it is, what you need now is an effective audio trimmer such as Joyoshare Media Cutter. This is a simple yet powerful audio splitter that is able to cut music files fast and losslessly on your computer. 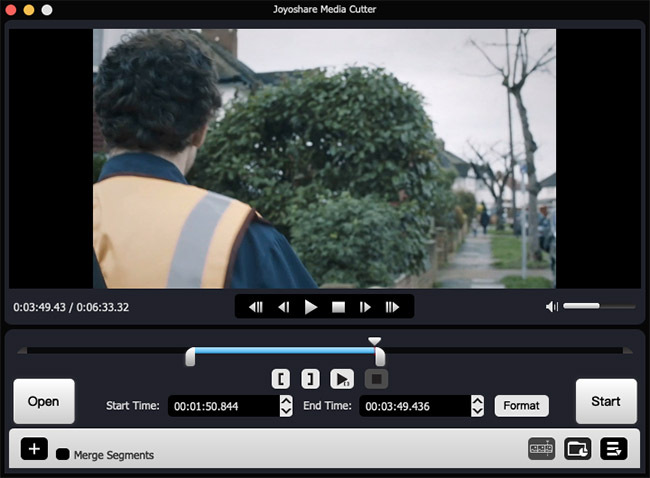 Joyoshare Media Cutter is not only a video splitter, but also a professional audio cropper. It aims to trimming any kind of music like songs, ringtones and tunes effortlessly without any quality damage. You can use it to cut music off a large file into smaller fragments, get rid of the unwanted parts and then merge the segments together to form a new one. With Joyoshare music cutter, you can clip and convert almost any music files in any format. Because it supports tons of input and output audio file formats, including M4A, M4R, MP3, AAC, AC3, MKA, OGG, AIFF, WAV, FLAC, etc. Besides, you can also export your music file onto various popular devices, such as Apple iOS gadgets, Samsung Galaxy, games consoles and smart TVs, etc. Moreover, the music cutter software is capable of cutting the music file at a 60X faster speed without sacrificing its original quality. The intuitive interface enables you to trim and cut music with ease. In order to cut music files effectively, we need you to download and install Joyoshare Music Cutter on your computer first. 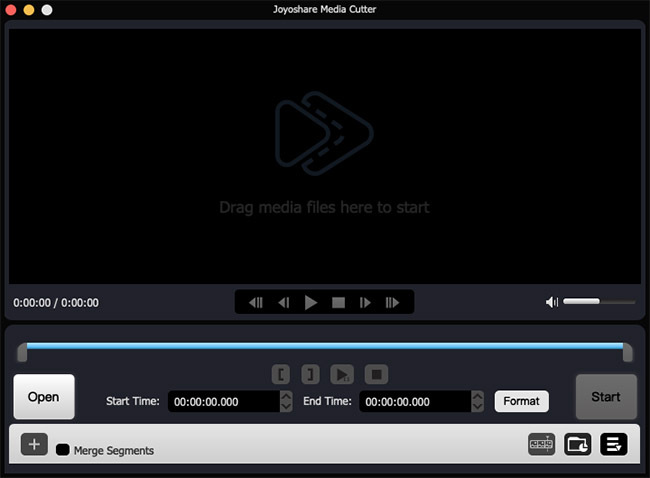 We will take Joyoshare Media Cutter for Mac as an example to see how to cut music on Mac. Launch the software first and then add your music file you want to cut. You can simply drag and drop the audio file to the center of the main interface. Alternatively, click the “Open” button to import your target music file. You can set the cutting segment in two ways. One is to slide the control key to choose the right audio tracks you desire. The other way is to set the start time and end time manually. 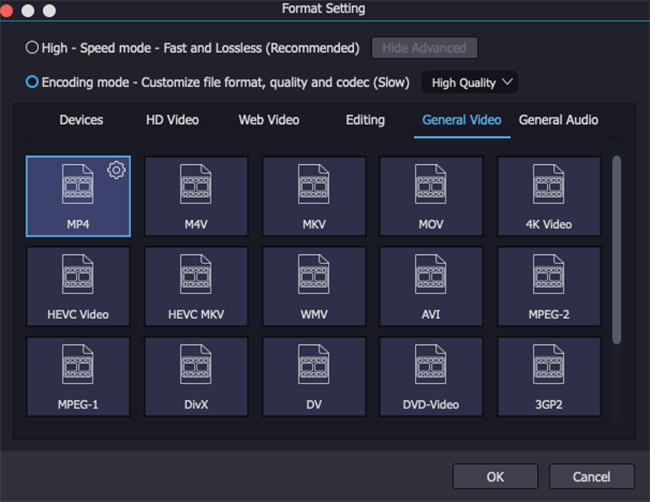 Then click the “Format” button and there are two options for you- High-speed mode and Encoding mode. If you select the former, your audio file will be cut and converted fast and losslessly. With the second mode, it will be slow, but you can freely export your music file onto any devices in the audio format you like. After all the settings are completed, you can now begin to trim your audio file by clicking the “Start” button. Wait a minute until it’s done. Open the destination folder to find your new audio to share it with your friends or save it as a ringtone, whatever. With Joyoshare Media Cutter for Mac, you can easily cut music files or any other audio files effectively with 100% original quality. No need to spend much time on learning how to use the software since we have offered such a simple guide to you. Compared with other similar audio splitter tools, Joyoshare music cutter features more yet costs less. It would be the best choice for you to trim audios. Cut A WAV File Precisely? Solved!